That was enough to surpass Pacquiao’s last PPV number of roughly 300,000 buys. Manny Paquiao’s recent outing against Adrien Broner was a relative success. 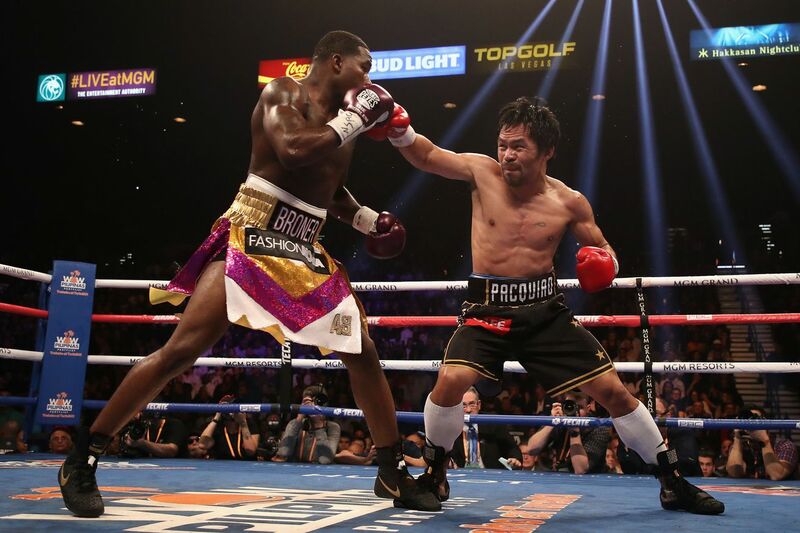 Multiple sources have confirmed to Kevin Iole that the Pacquiao-Broner fight did 400,000 buys on Showtime PPV, sufficient enough to beat Pacquiao’s last PPV against Jessie Vargas, which did about 300,00 buys. With that number of buys the card will have raked in roughly $30M in revenue, not counting the money made from the live gate, which was at least announced as sellout of 13,025 tickets. Pacquiao was guaranteed a purse of $10M, and will share in the PPV upside, so should make out fairly well — at least until that tax man cometh. Pacquiao may not be the draw he once was, but he proves he’s still one of the biggest draws in the sport. And having Broner as an opponent — who has never before fought on PPV but always drew good ratings on Showtime — probably helped just a little. That said, Broner definitely didn’t help his stock with his performance last weekend, so it could be difficult for him to remain as a real viable PPV attraction going forward.